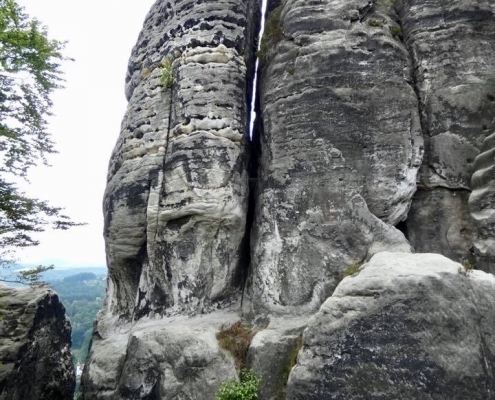 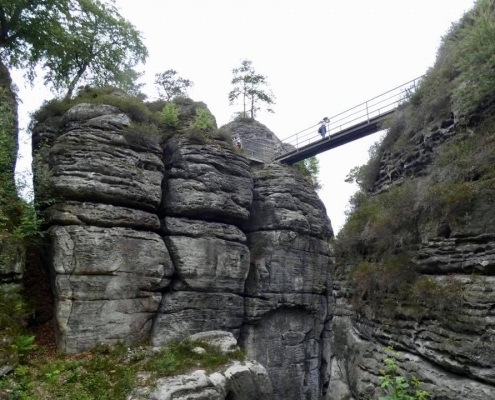 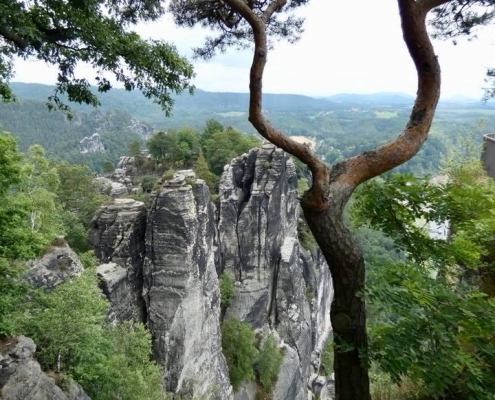 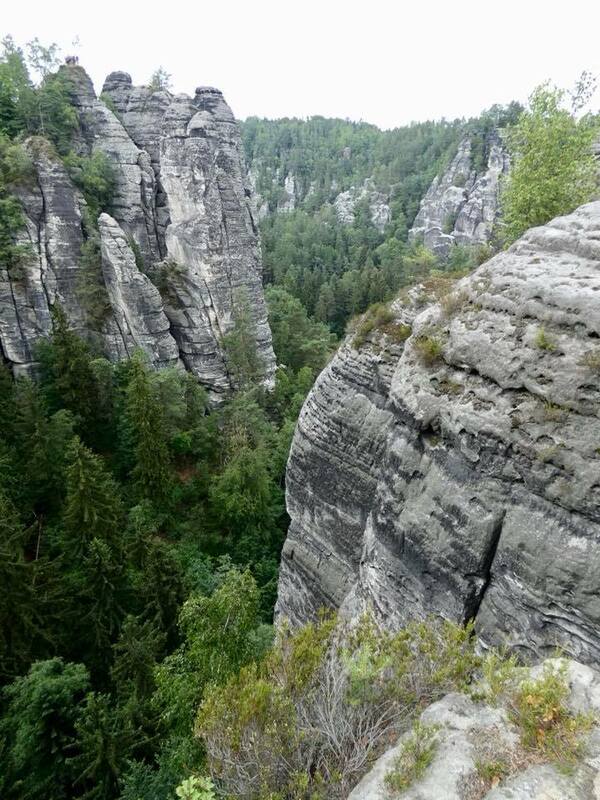 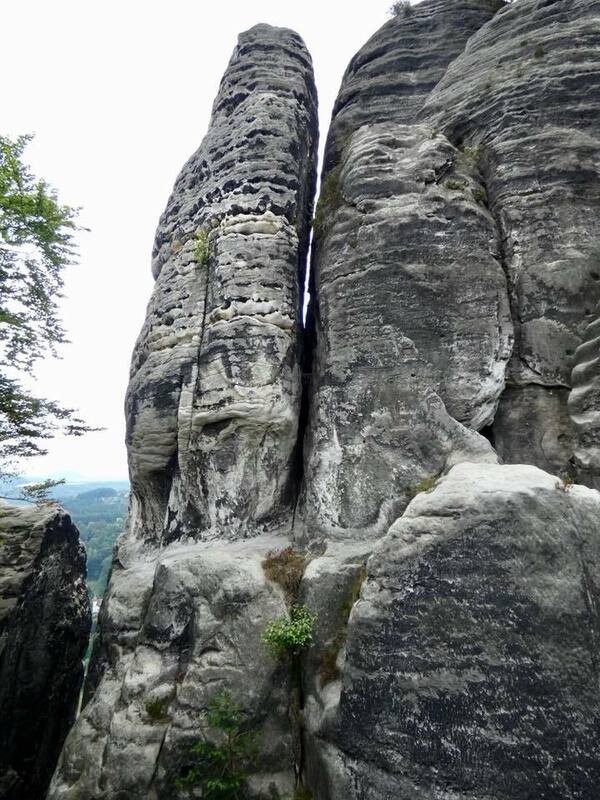 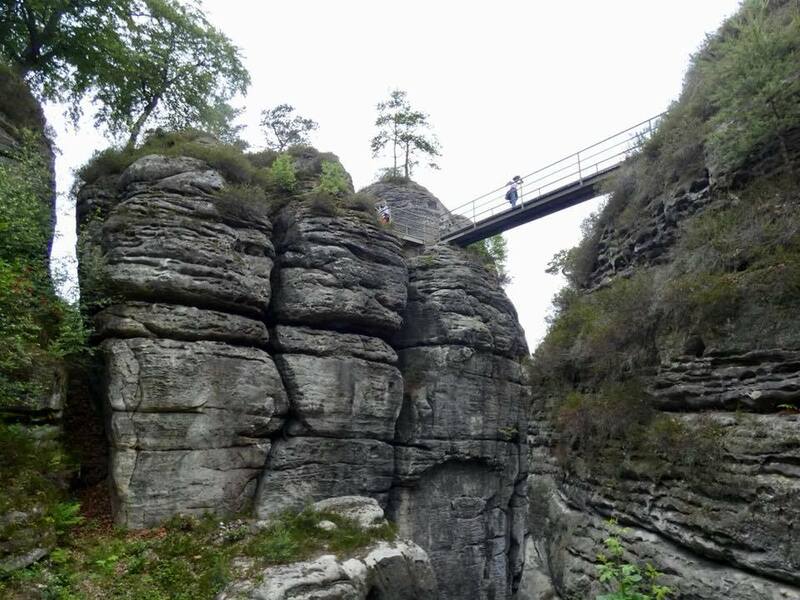 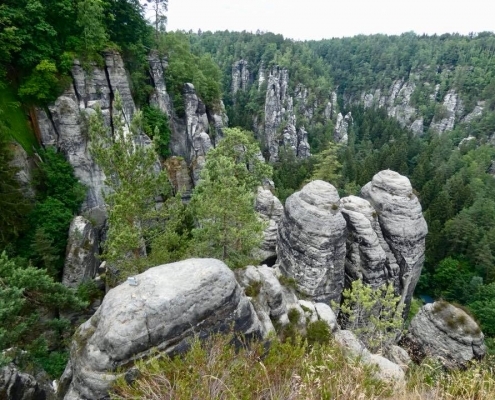 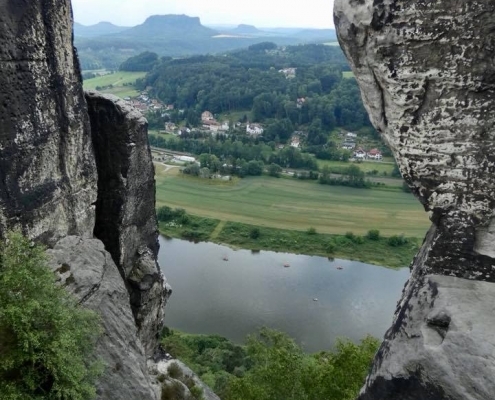 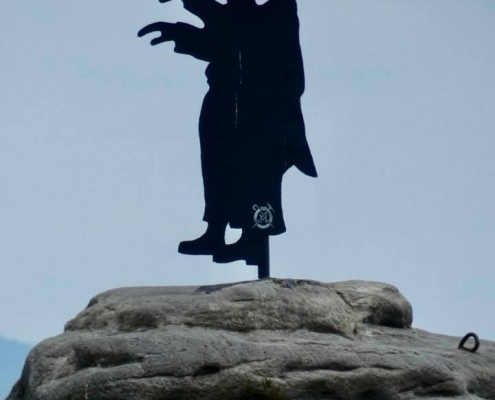 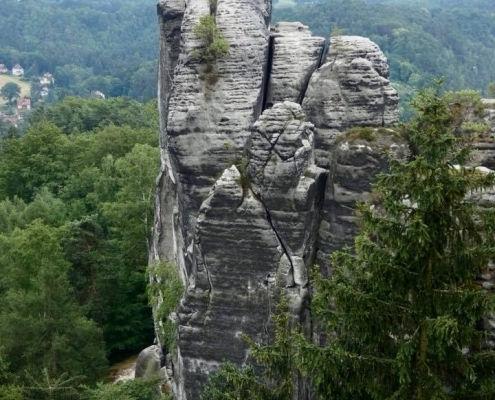 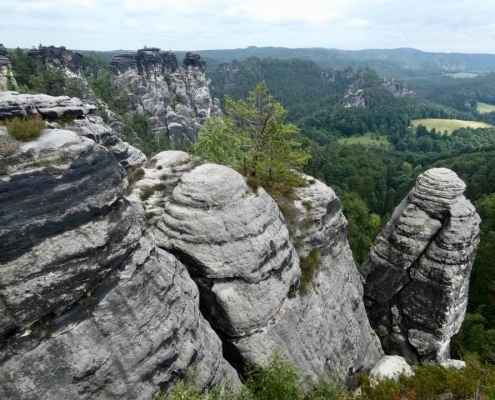 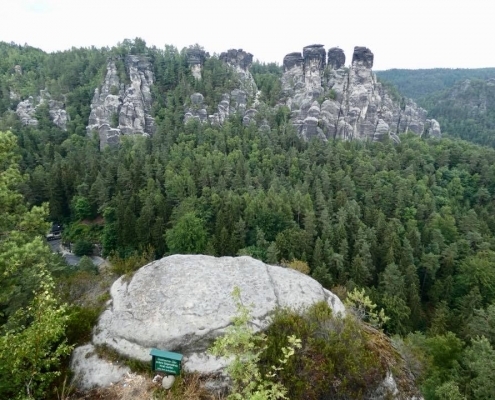 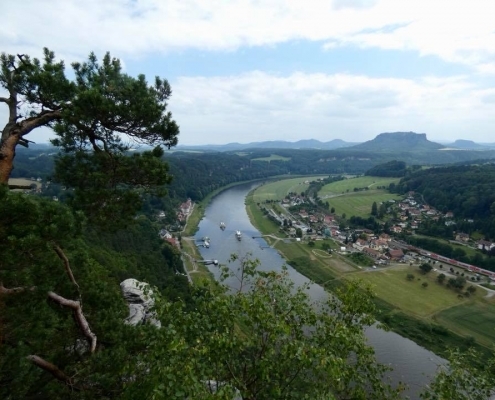 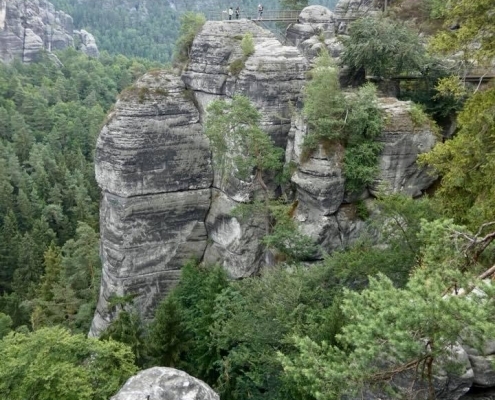 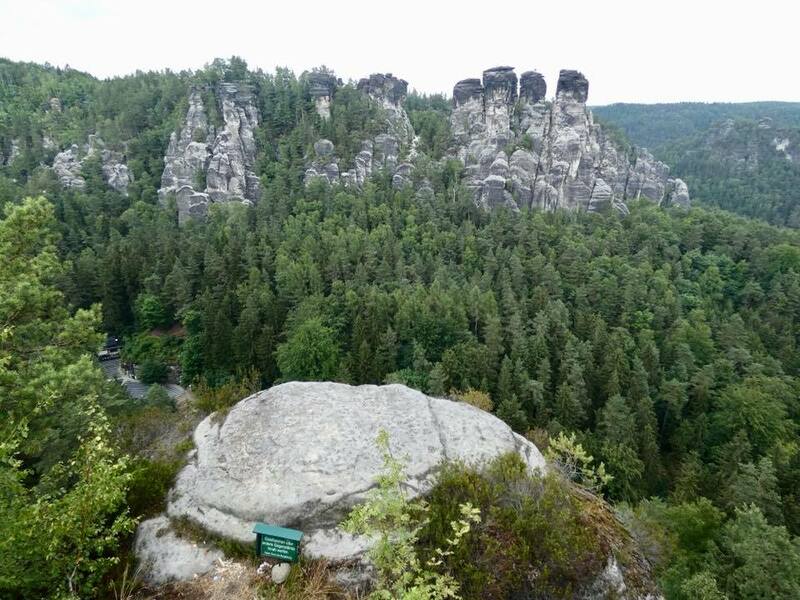 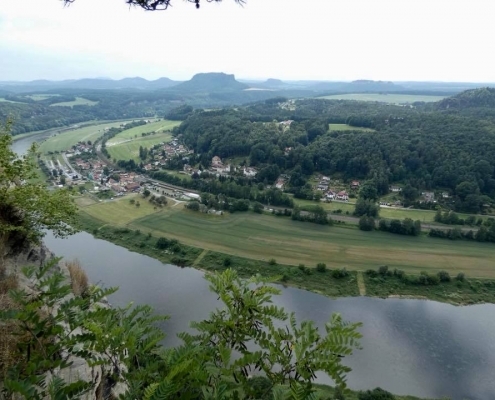 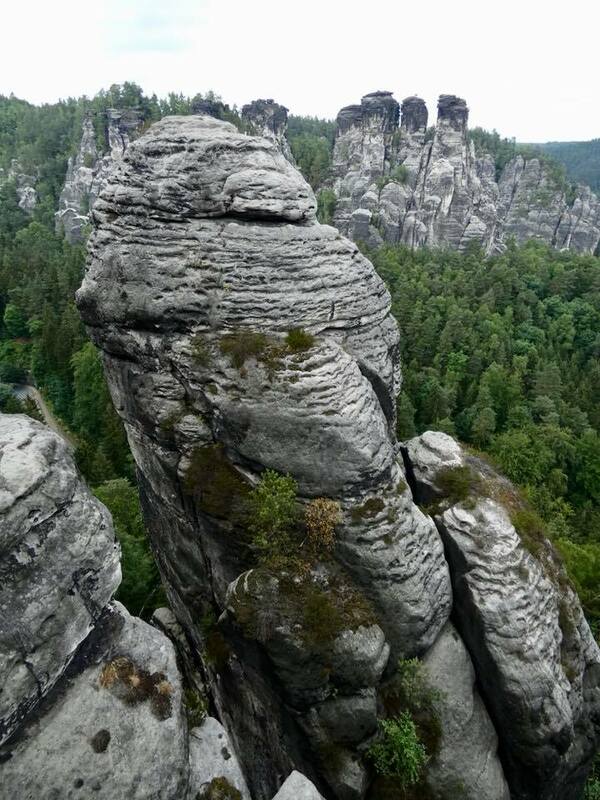 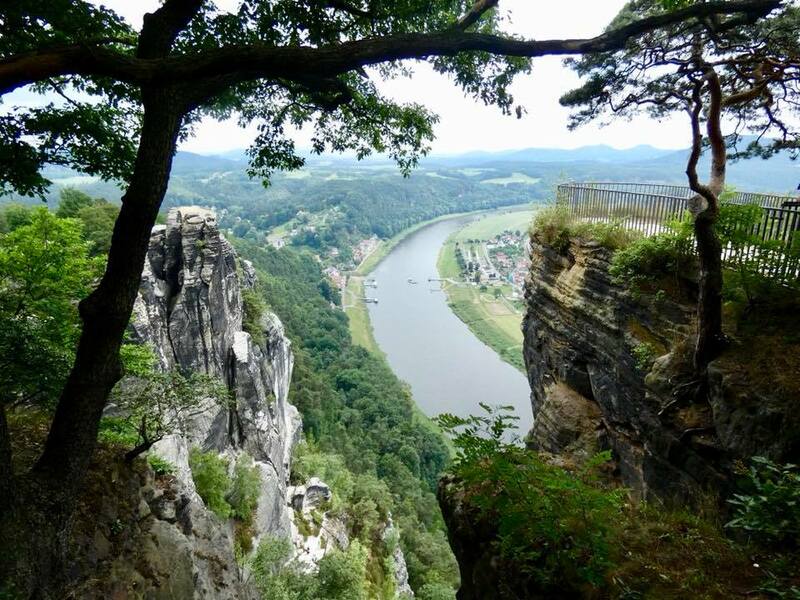 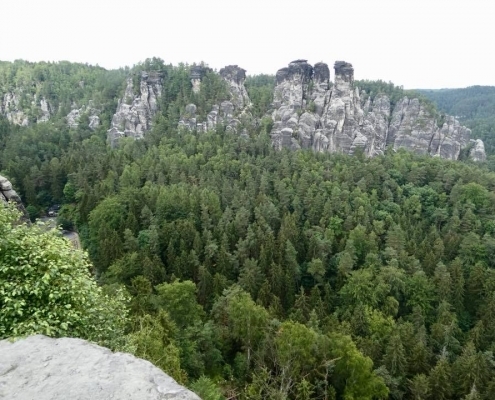 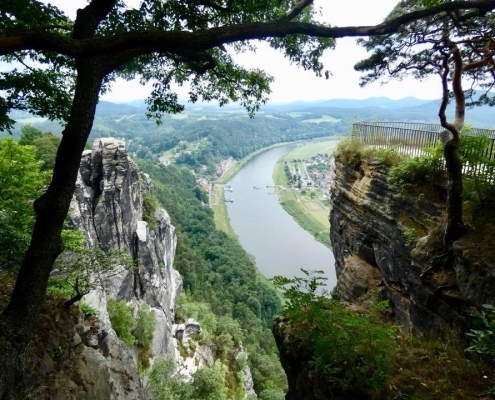 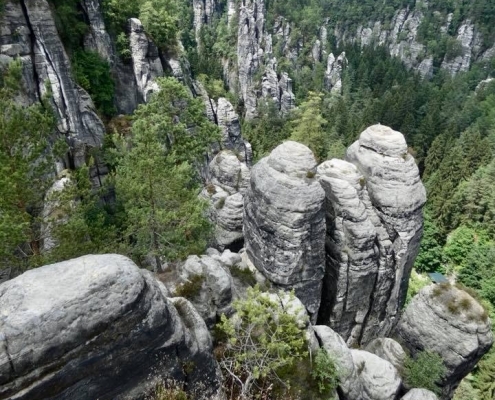 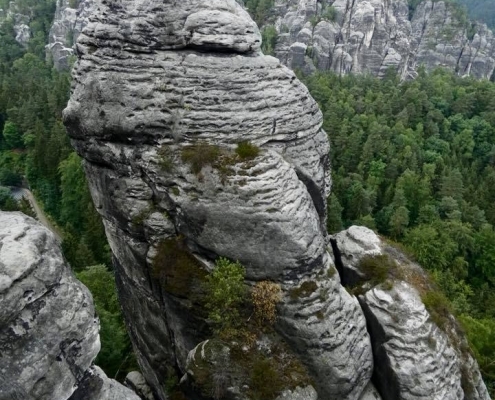 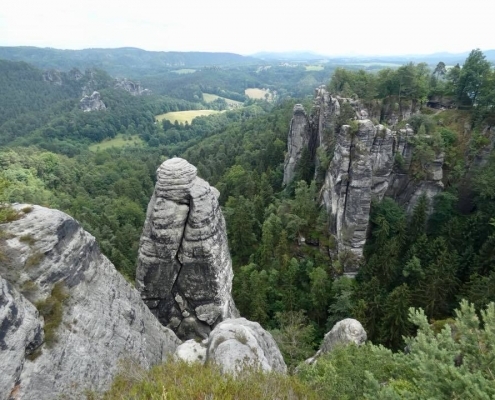 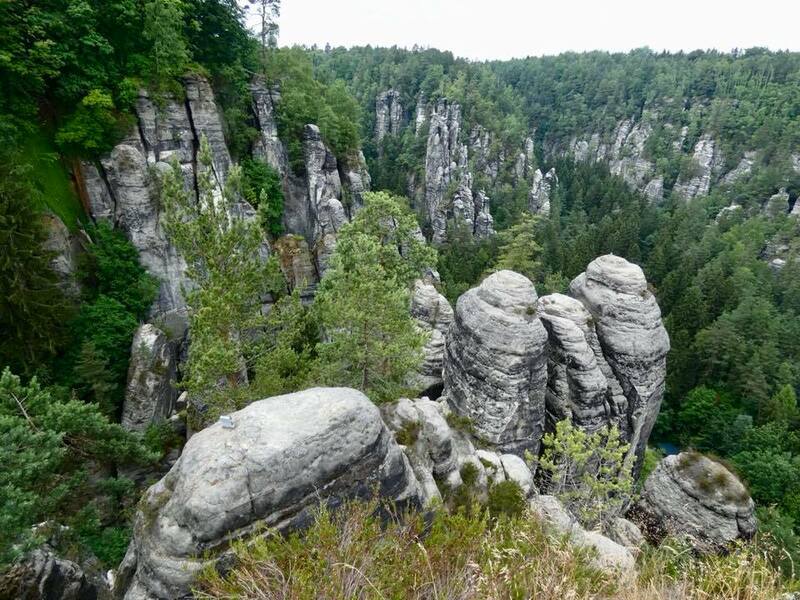 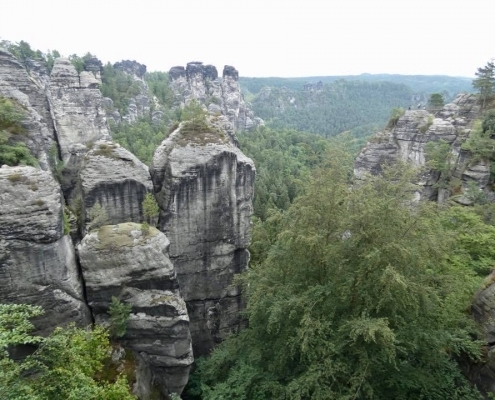 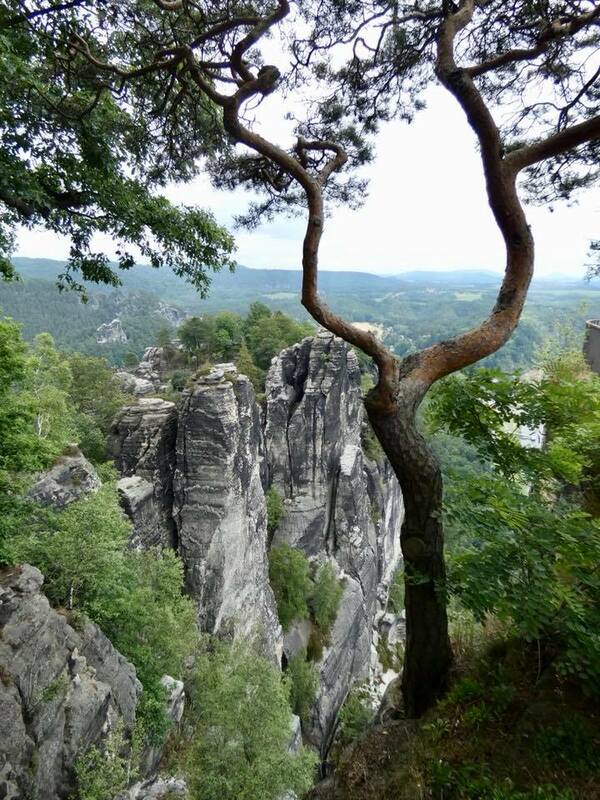 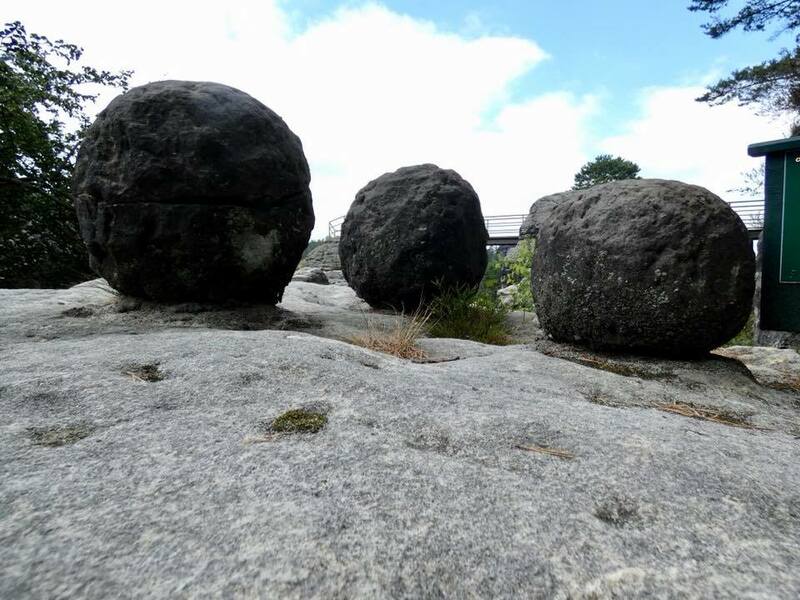 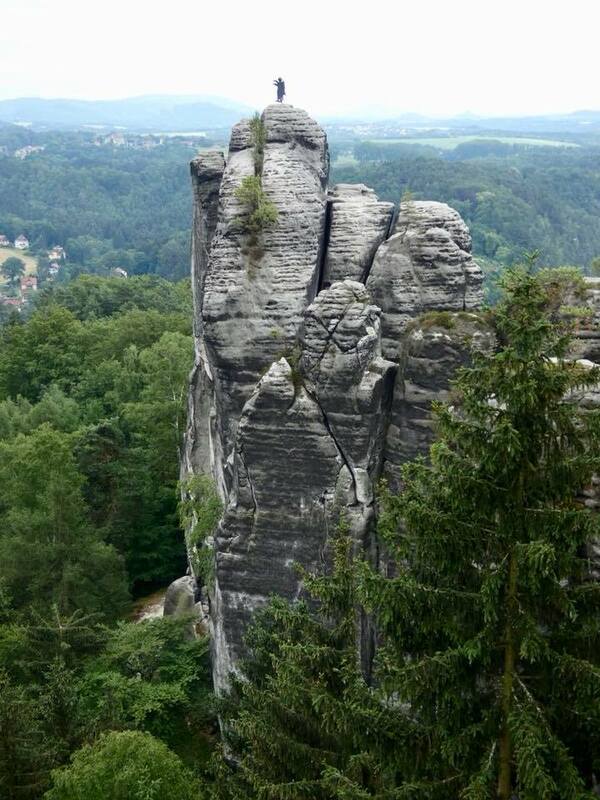 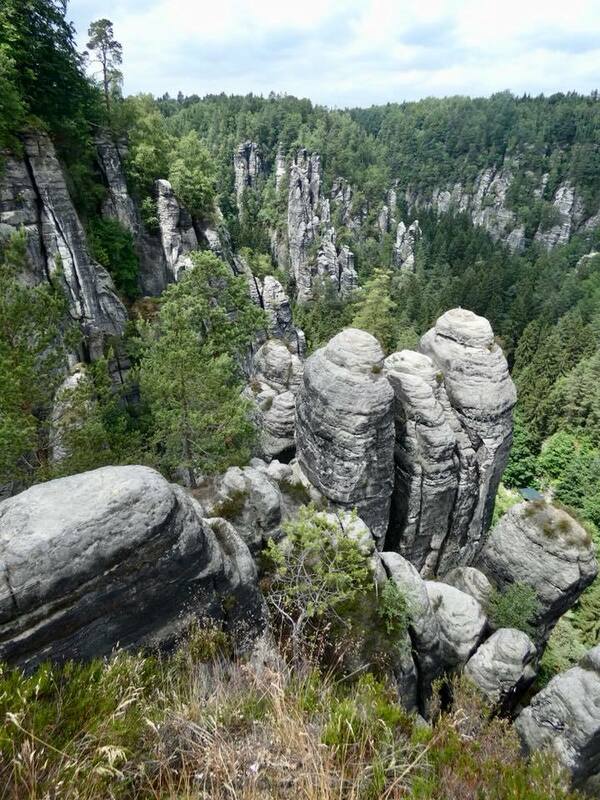 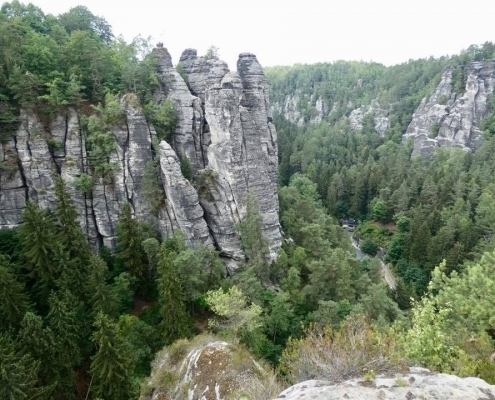 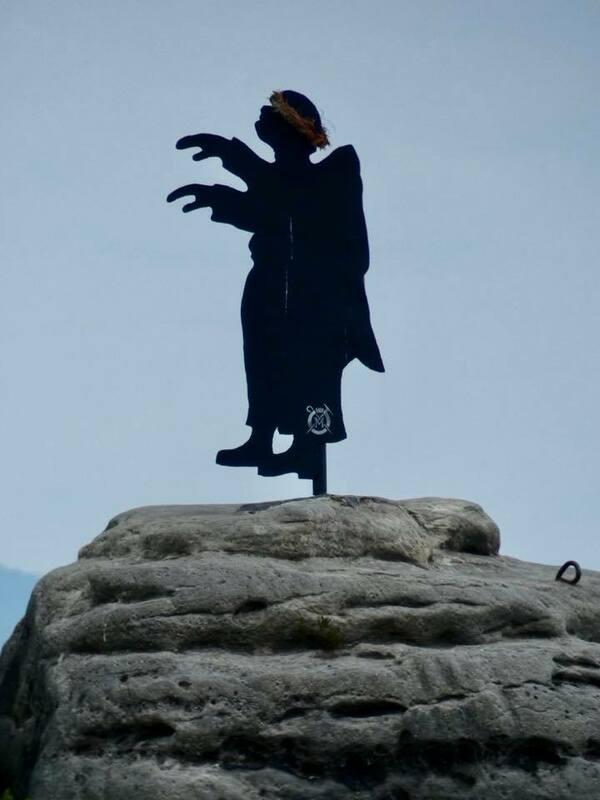 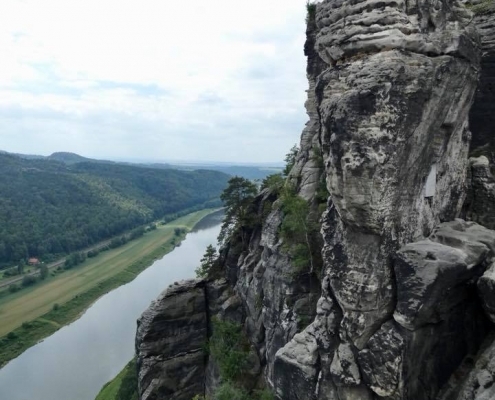 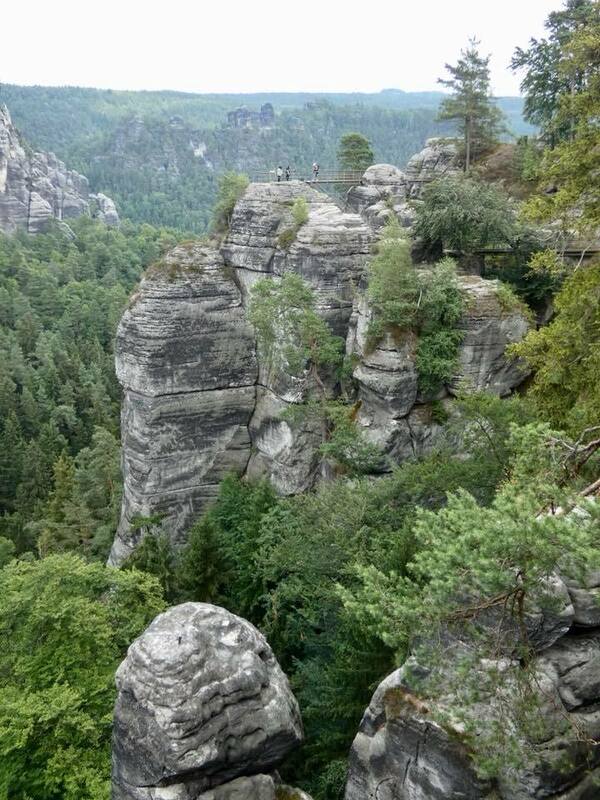 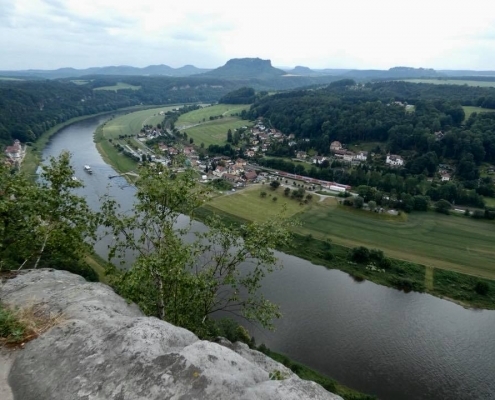 Saxon Switzerland National Park is a natural jewel of Germany right on the eastern border with Czech Republic (which actually has its own version just across the border called Bohemian Switzerland). 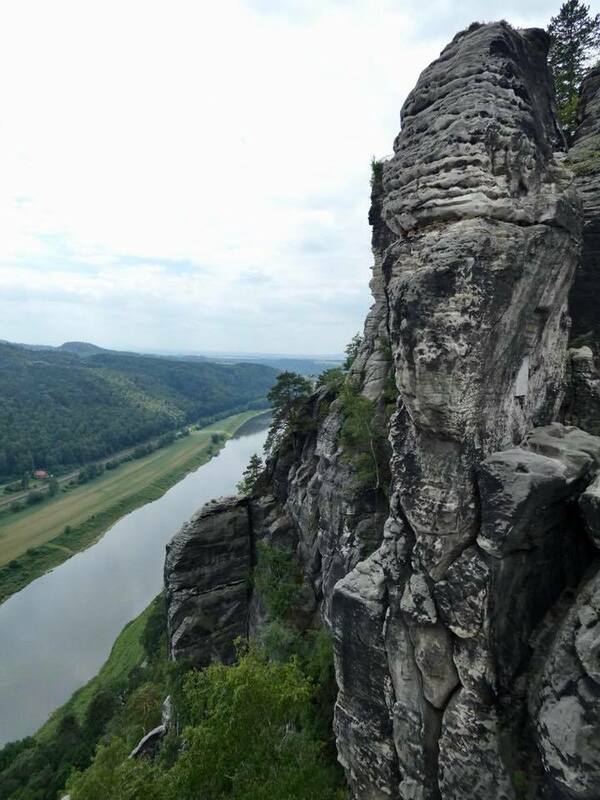 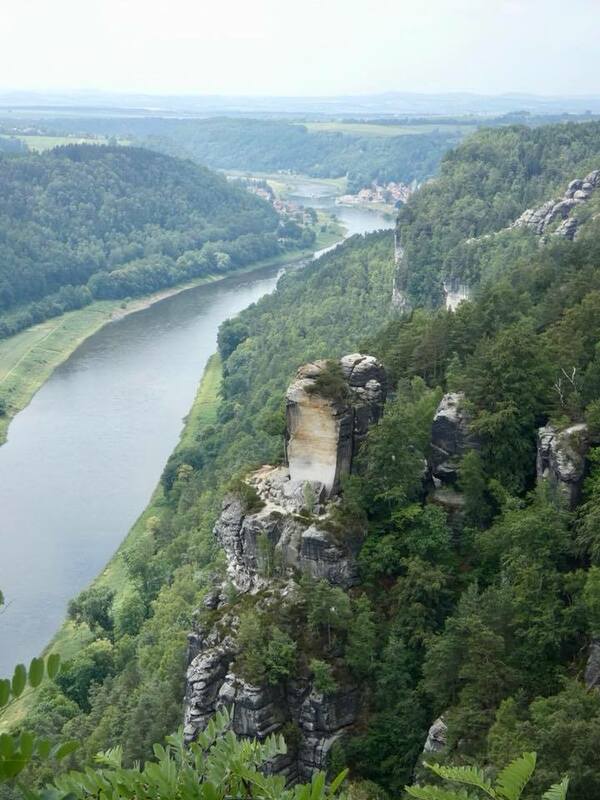 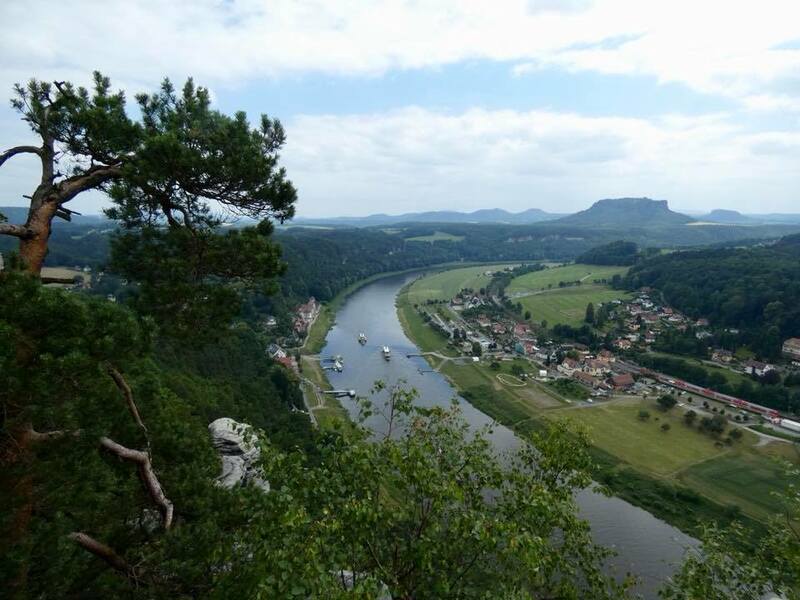 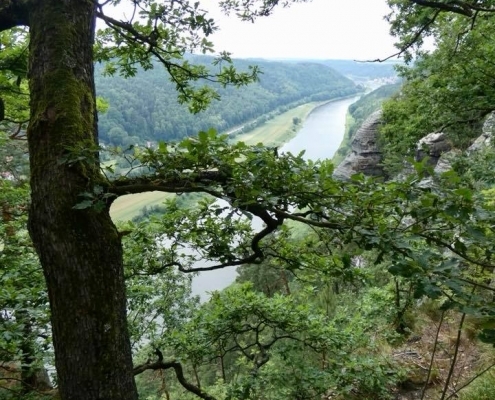 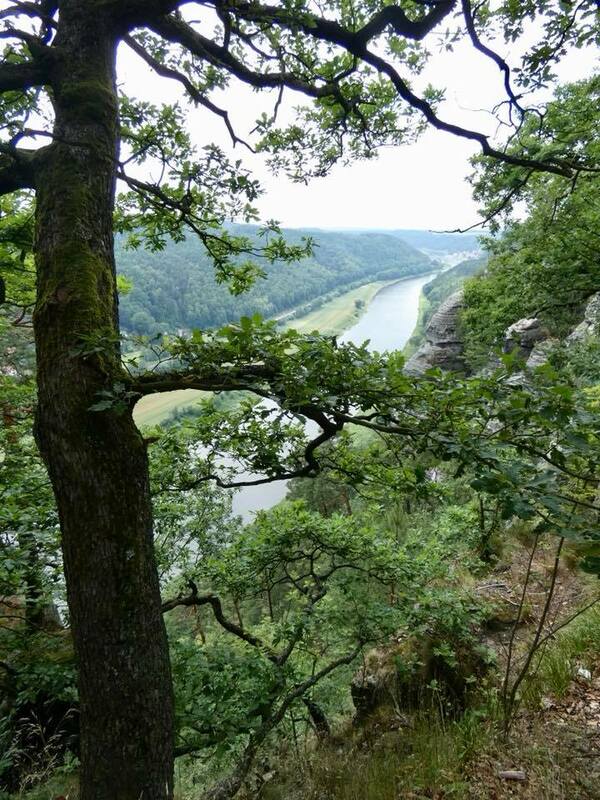 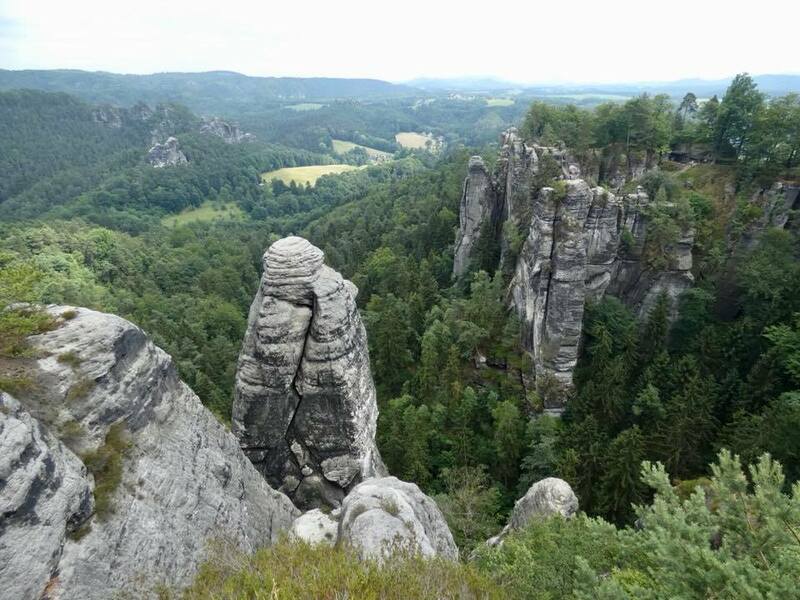 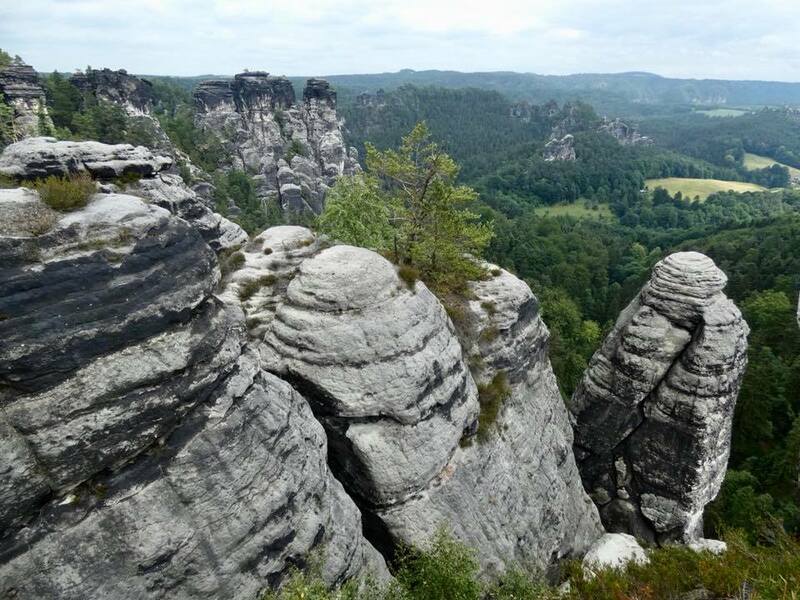 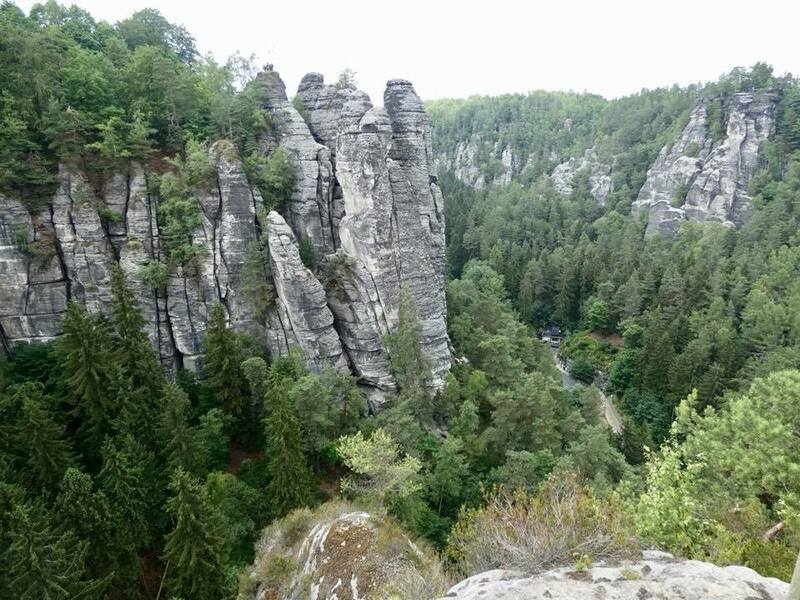 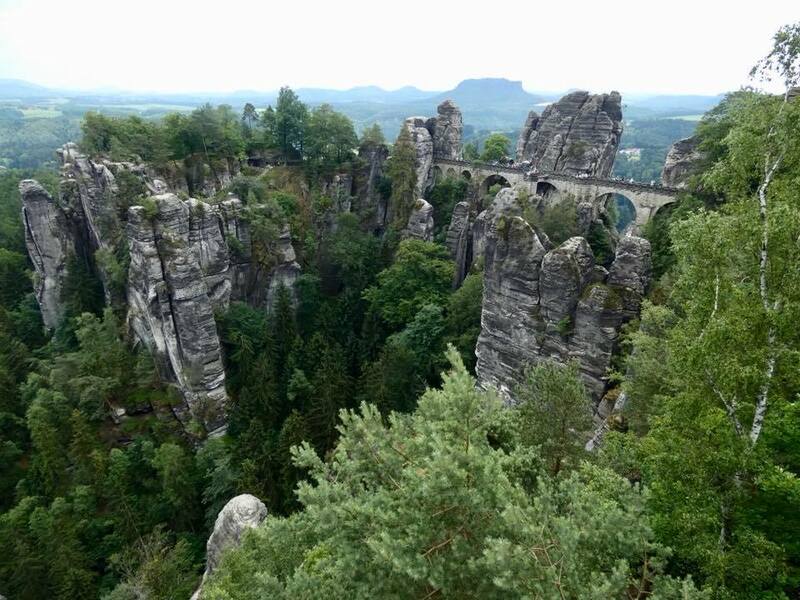 Here, beautiful eroded limestone cliffs and pillars create an absolute wonderland on a plateau above the twisting Elbe river down below. 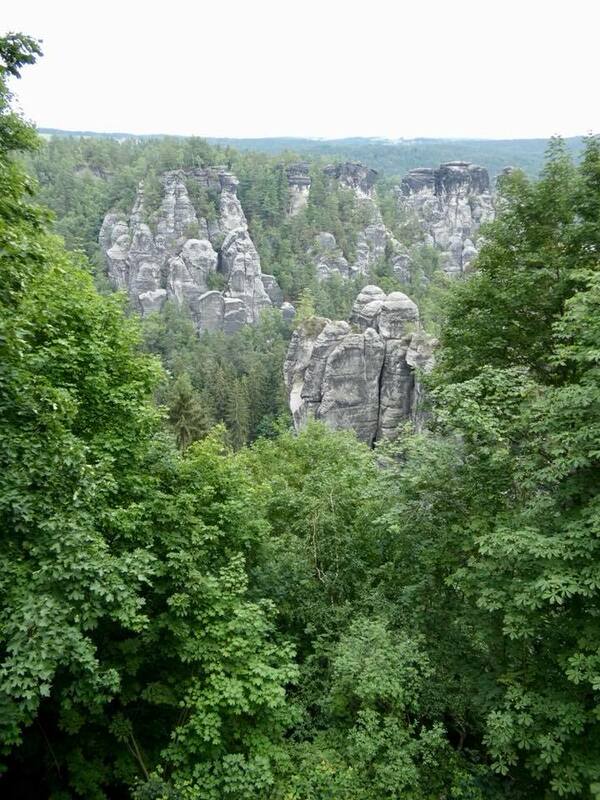 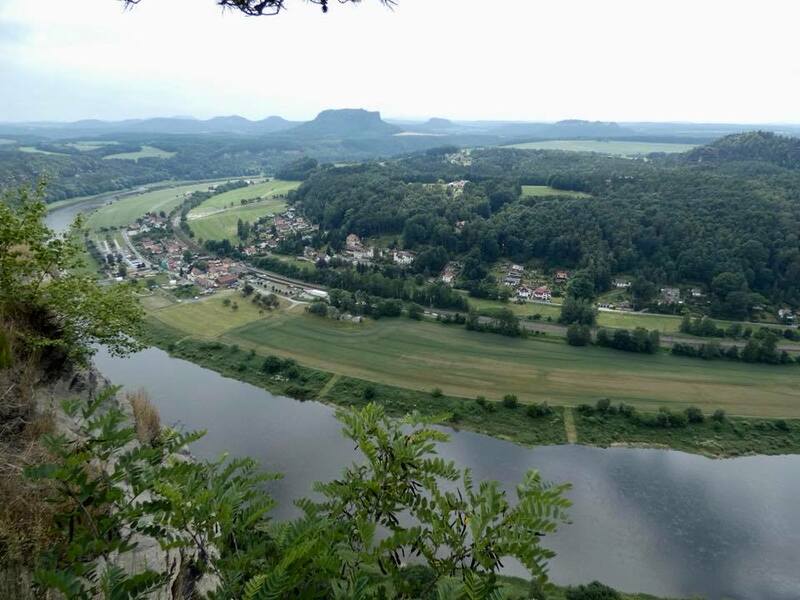 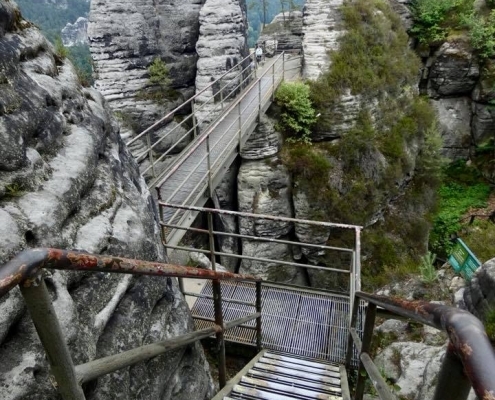 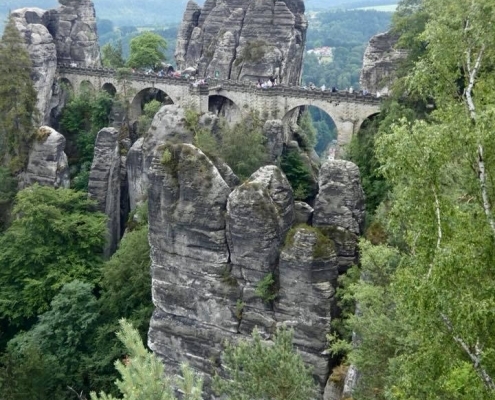 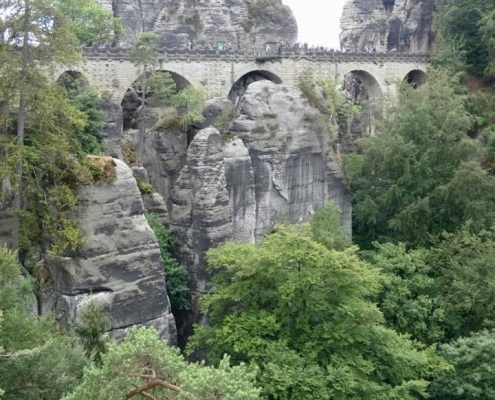 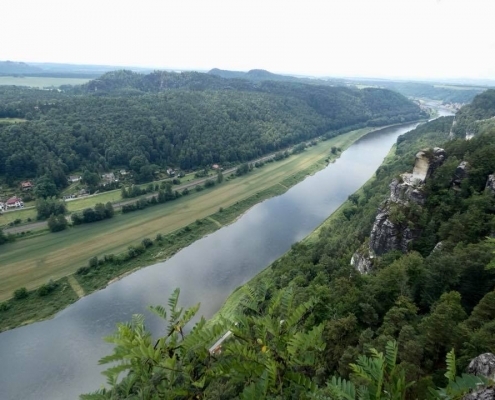 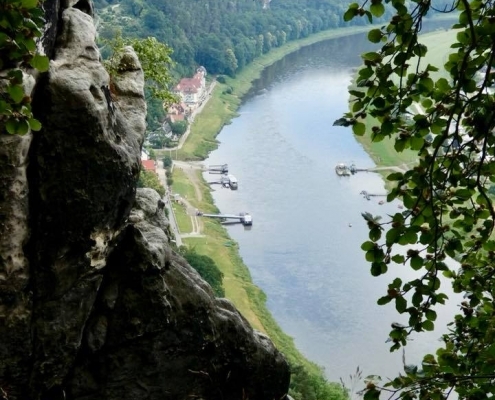 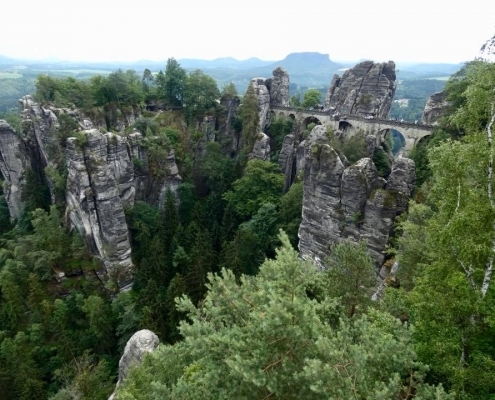 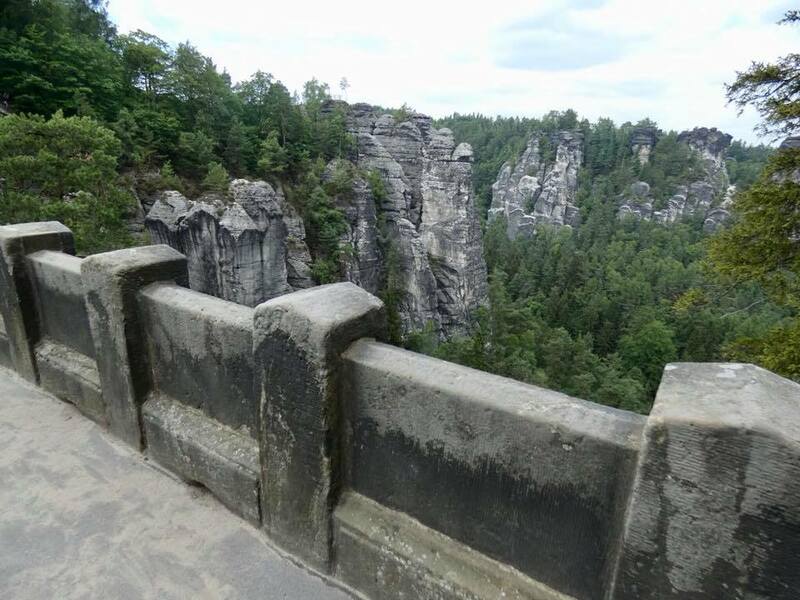 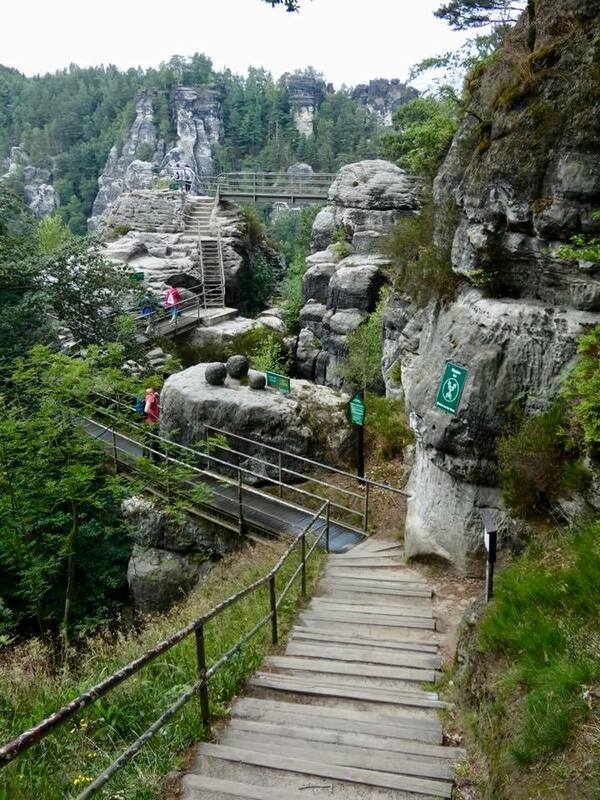 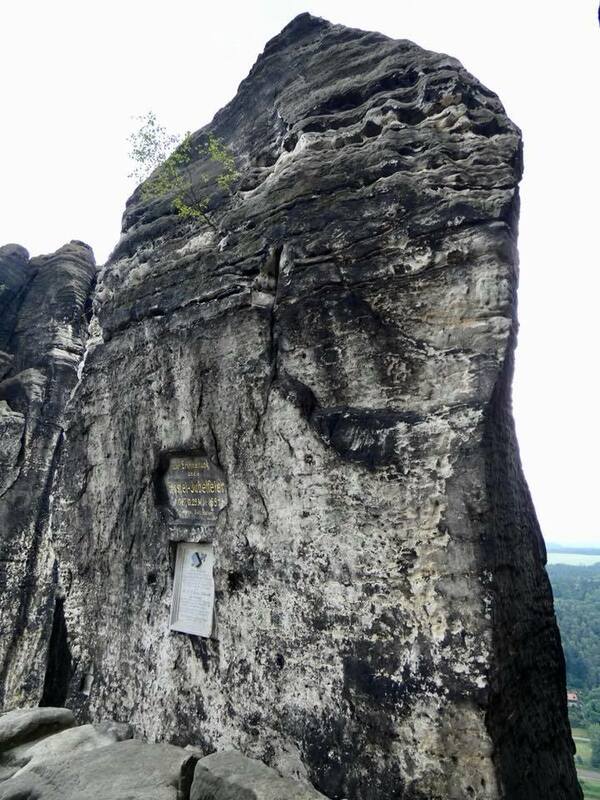 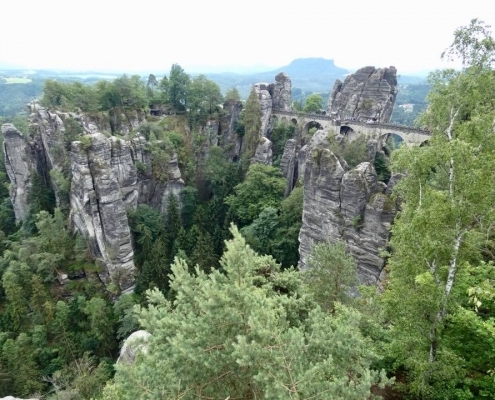 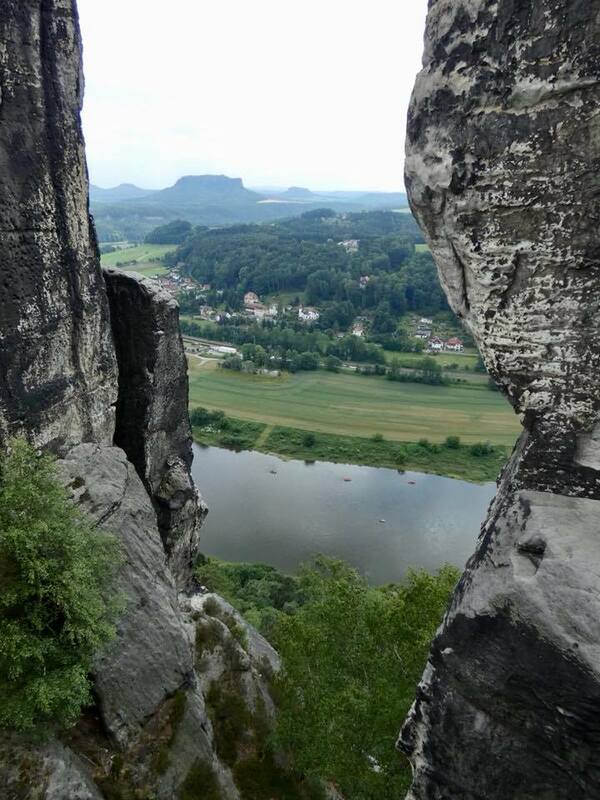 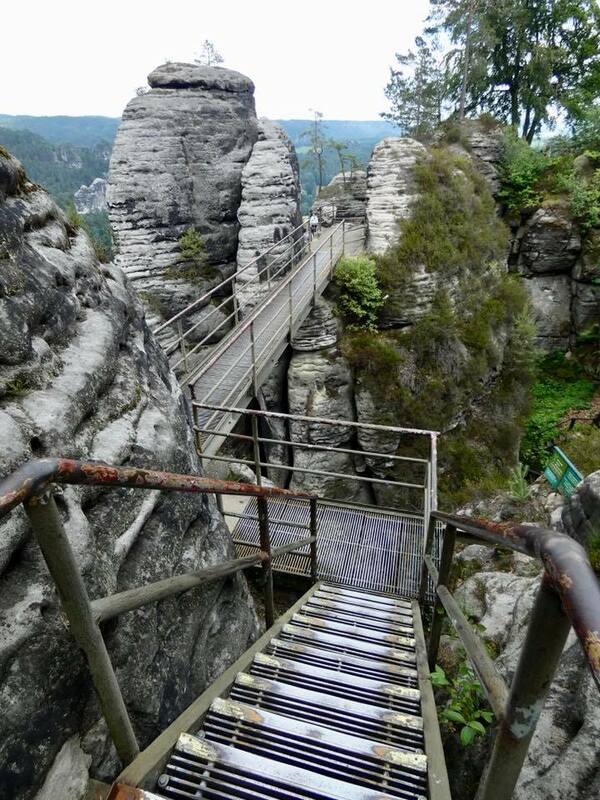 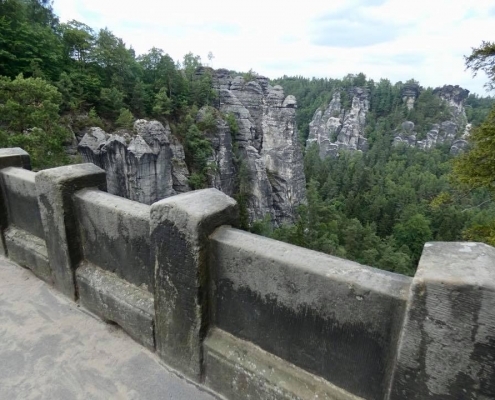 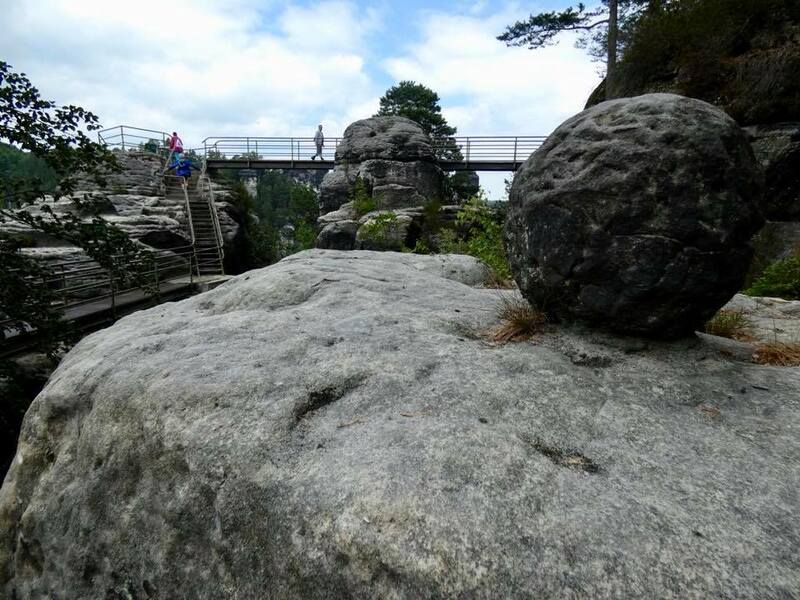 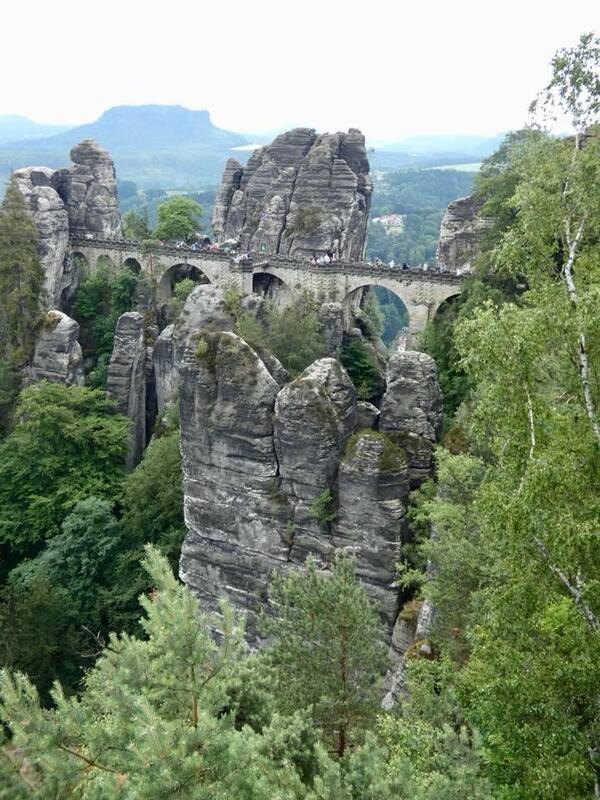 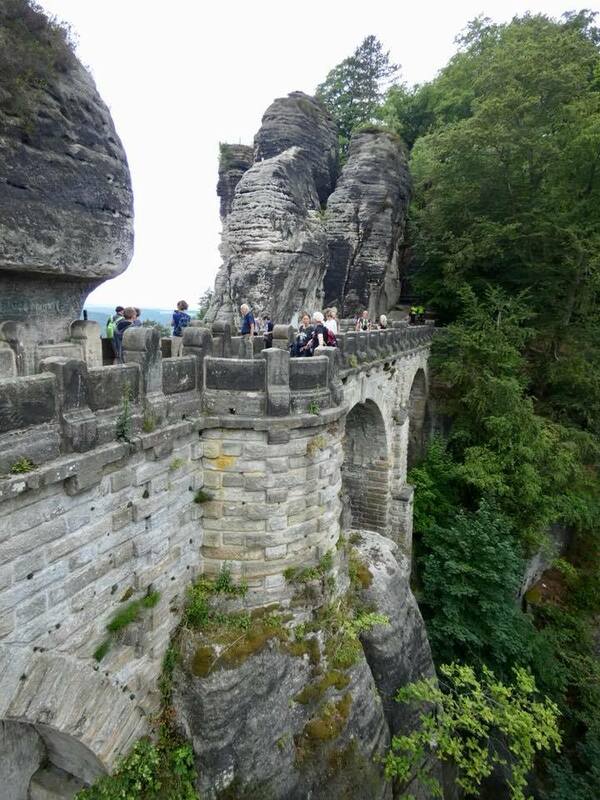 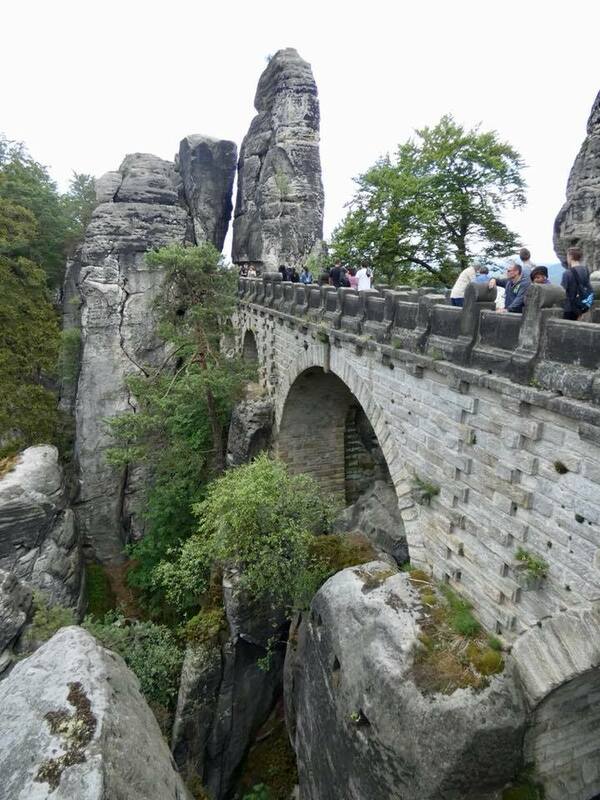 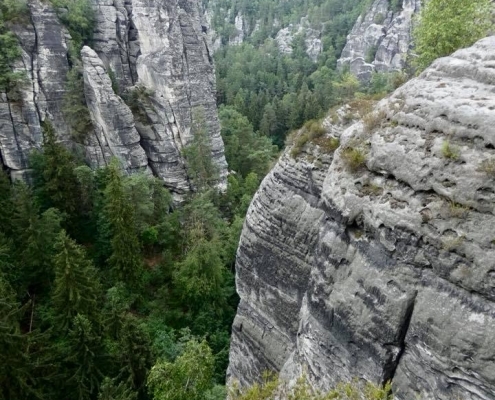 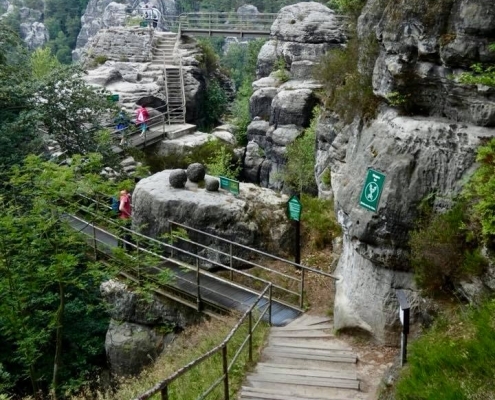 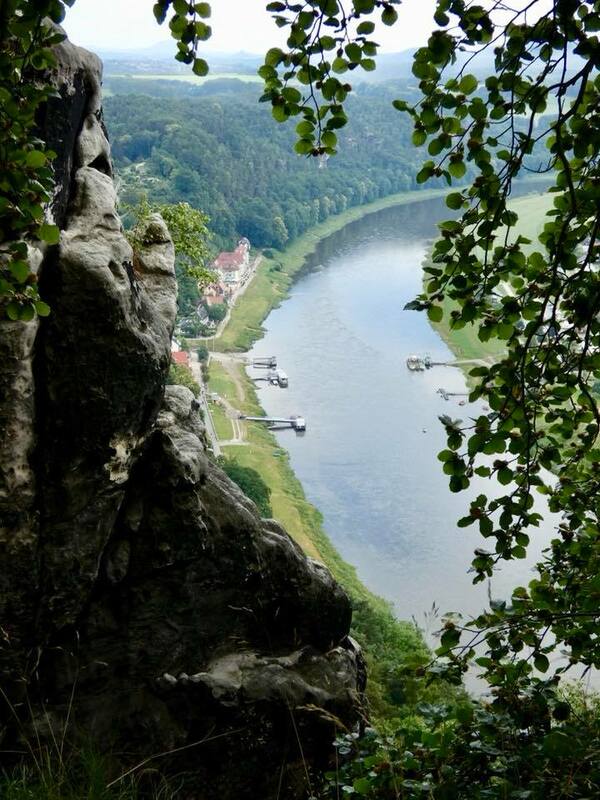 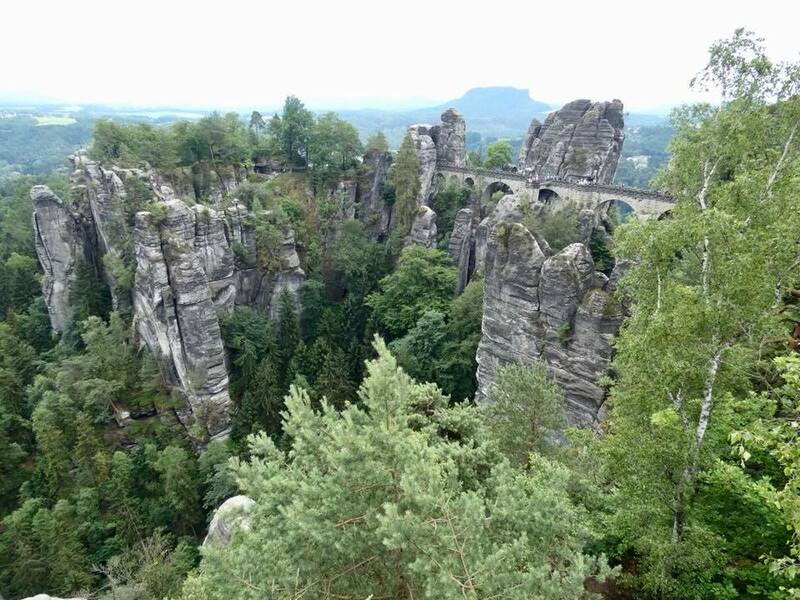 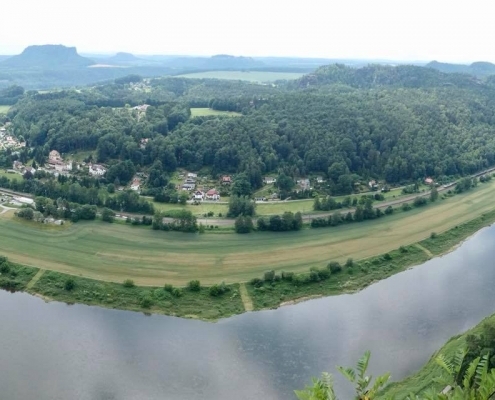 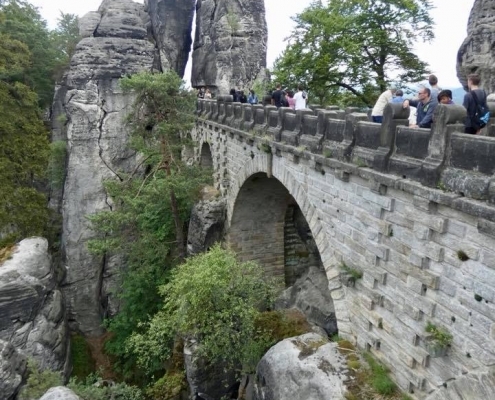 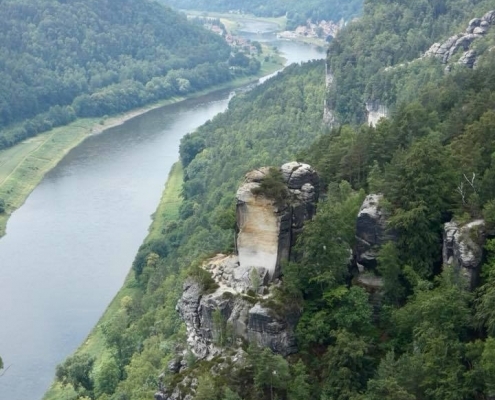 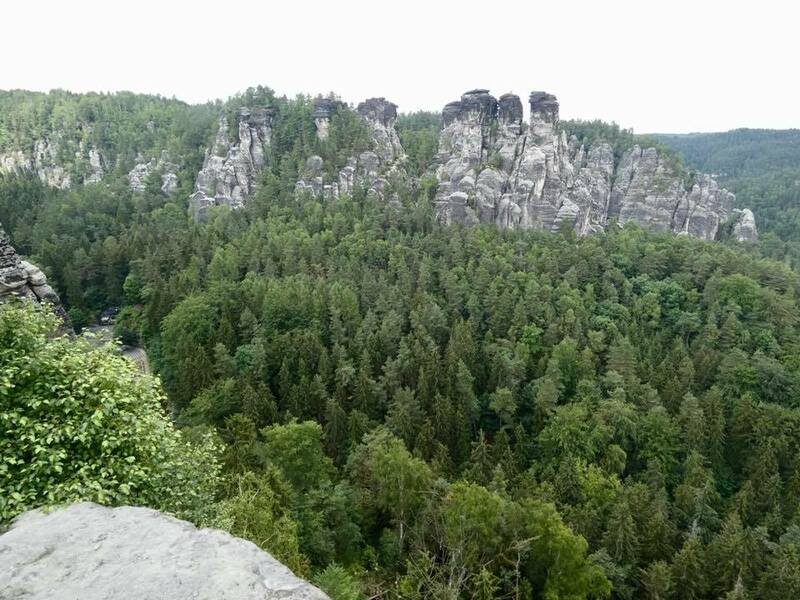 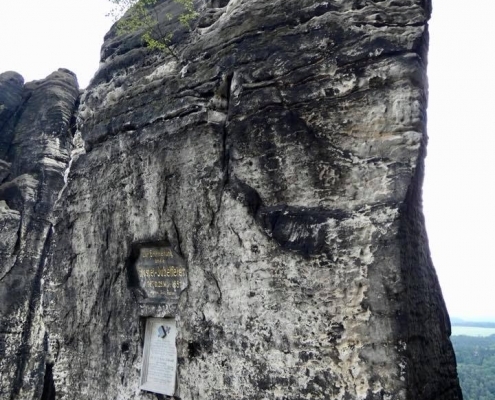 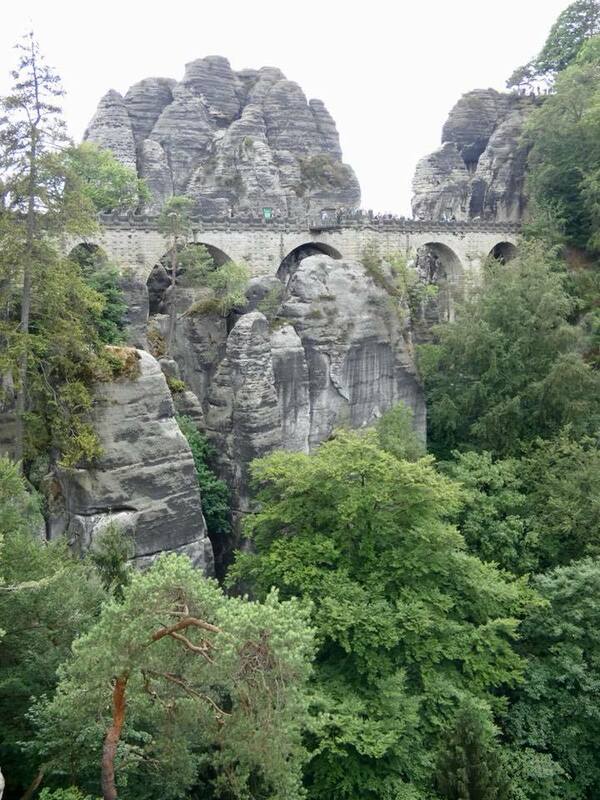 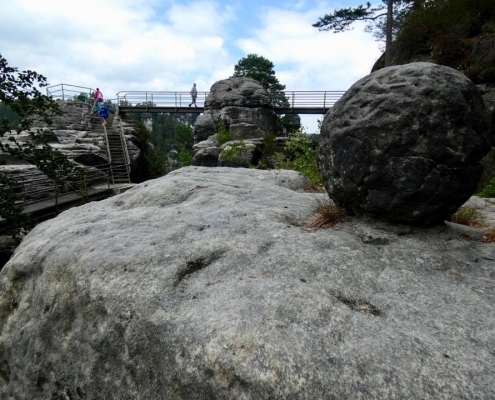 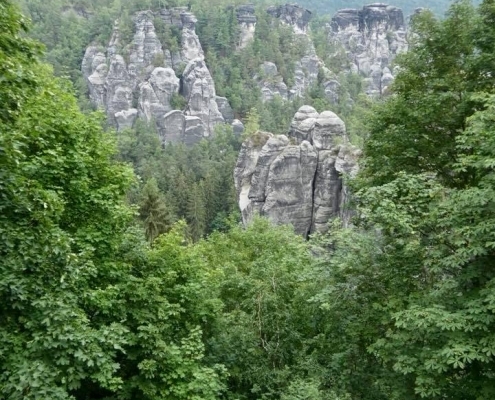 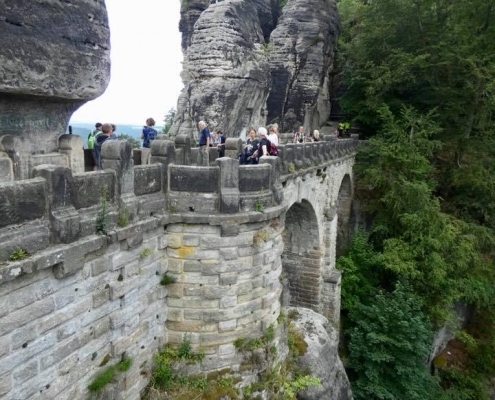 This limestone maze is connected with century old bridges and walkway, especially around the Bastei area.